Data interpretation helps build understanding of how a reaction works or how a process is impacted by a parameter change. 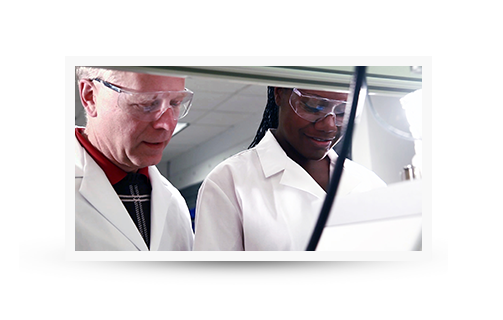 iC Software transforms experimental data into important process knowledge. Capture, prepare and share date with iC Data Center, determine process variables with iControl, iControl RC1e and iControl LabMax, analyze reactions with iC IR, optimize reactions with iC Kinetics, analyze particle size and shape with iC FBRM and transfer processes from the lab to production with iC Process. Extract critical information about key reaction species and gain in-depth reaction understanding with iC IR. Results are delivered in real time, streamlining analysis and eliminating the need for offline sampling. During an experiment, EasyMax HFCal and OptiMax HFCal collect and store a wealth of information. iControl software automatically calculates and reports heat transfer data, specific heat of the reaction mass, heat flow and reaction enthalpies – resulting in faster process development and safer scale-up. Understand particle system dynamics, optimize experimental design and quickly identify and solve production issues with iC FBRM. Intuitive report generation combines data from multiple experiments with batch condition data to improve processes. Turn data loss into data capture with iC Data Center. Ensure all data is captured from local instruments, prepared into useful formats and shared on a central file store. This improves productivity for the researcher while facilitating knowledge management for the organization. Guarantee data capture and ensure data is collected and stored in the right place - facilitating the development of knowledge management.